The conversation, presented by the CLBB Pain & Suffering working group, with support from the Harvard Mind Brain Behavior Interfaculty Initiative, was facilitated by Judy Foreman, an investigative journalist and author of A Nation In Pain: Healing Our Country’s Greatest Health Problem. 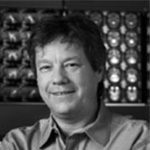 David Borsook, MD, PhD leads the PAIN group at Massachusetts General Hospital and is Professor of Anesthesia at Boston Children’s Hospital. Dr. Borsook will address the recent breakthroughs in understanding the brain’s role in creating and maintaining chronic pain conditions. A leader in the field, Borsook will discuss how chronic pain creates long-term changes in the brain, compromising cognitive and emotional functions, which makes effective pain treatment an urgent medical priority. 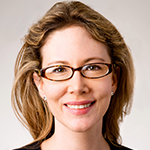 Amanda C. Pustilnik, JD is Associate Professor of Law at the University of Maryland School of Law. She is also the 2014-2015 Senior Fellow in Law & Applied Neuroscience at CLBB and The Petrie-Flom Center for Health Law Policy, Biotechnology, and Bioethics at Harvard Law School. 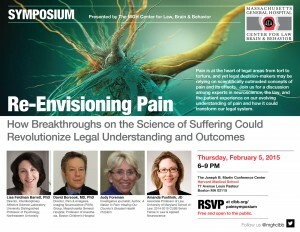 Professor Pustilnik will discuss the challenges pain presents for the law, in areas ranging from tort to torture. In many areas, legal decision-makers rely on scientifically outmoded concepts of pain, and may make false distinctions between physical and emotional pain. 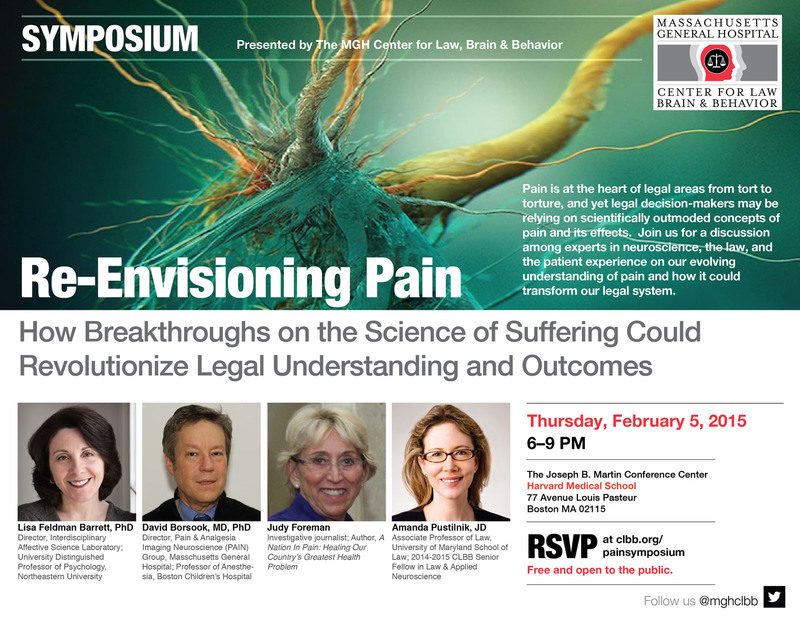 Professor Pustilnik will describe how neuroscience of pain can improve legal doctrines and outcomes, and will touch on the limits of the uses of this new science. 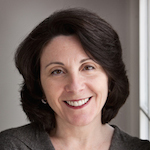 This conversation was facilitated by Judy Foreman, an investigative journalist and author of A Nation In Pain: Healing Our Country’s Greatest Health Problem. Ms. Foreman brings to bear her 20+ years as an investigative journalist in the health sciences area, as well as her personal experience, to bring insight to a topic—pain—that touches us all. The event was held from 6-9pm at the Joseph B. Martin Conference Center of Harvard Medical School. To watch video of the entire “Re-Envisioning Pain” event, or explore past events on memory, free will, and empathy, see CLBB’s Vimeo channel.